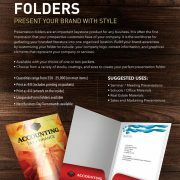 Impress your business meetings, conferences and trade shows with durable, high quality Presentation Folders. 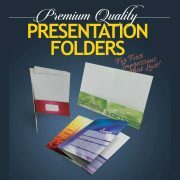 Presentation folders are an important keystone product for any business. It is often the first impression that your prospective customers have of your company. It is the workhorse for gathering your branded literature into one organized location. 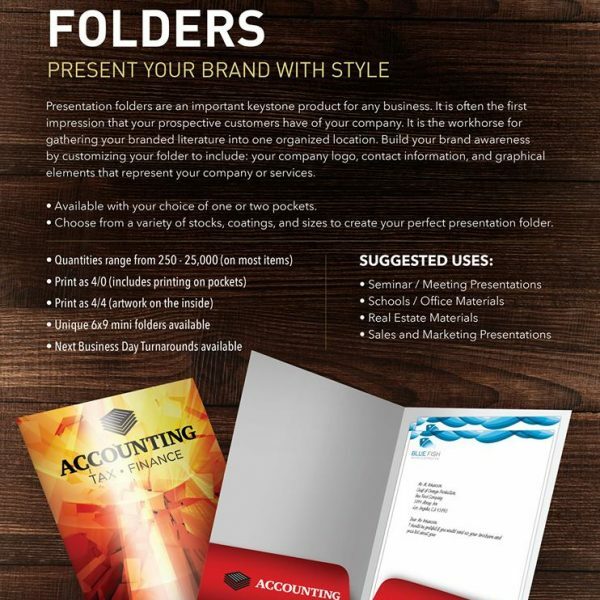 Build your brand awareness by customizing your folder to include: your company logo, contract information, and graphical elements that represent your company or services.